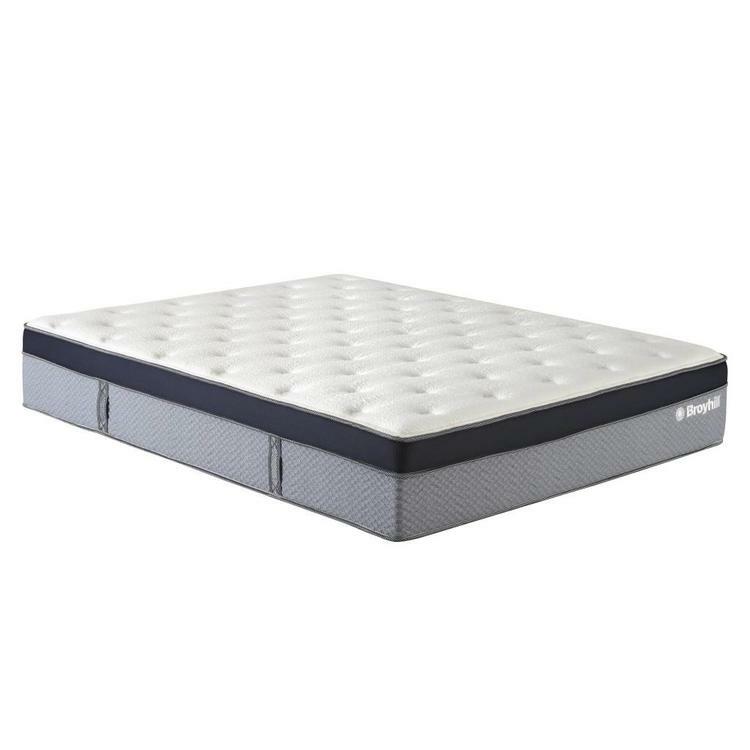 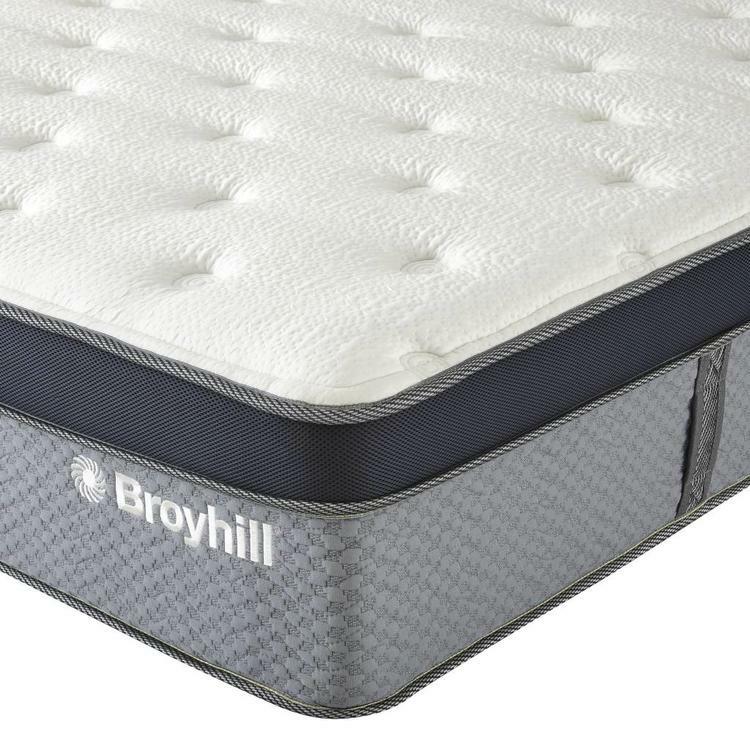 1.5" Liquid Gel Memory Foam in Quilted Cover - All new liquid gel infused memory foam is quilted into the cover, allowing you to enjoy the contouring comfort of memory foam with the cooling benefits of gel. 1.5" Convoluted Cooling GelFlex Memory Foam - State-of-the-art process combines liquid gel with memory foam for targeted contouring support and greater cooling. 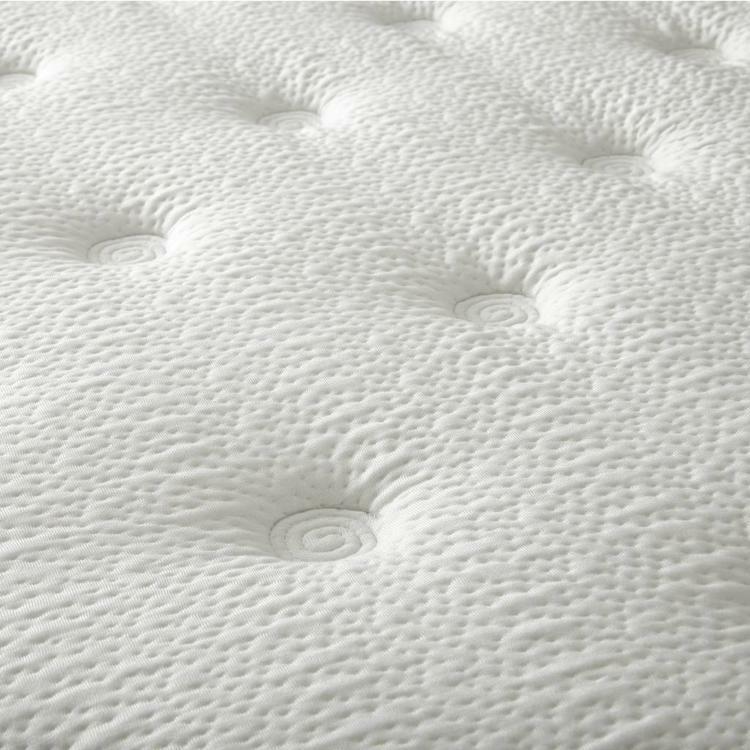 1.5" Engineered Latex Foam - High resilience foam provides additional contouring support. Edge Plus Perimeter - A 360 Degree foam encasement increases the overall sleep surface, prevents roll off, and gives you a firm, no sag edge support. 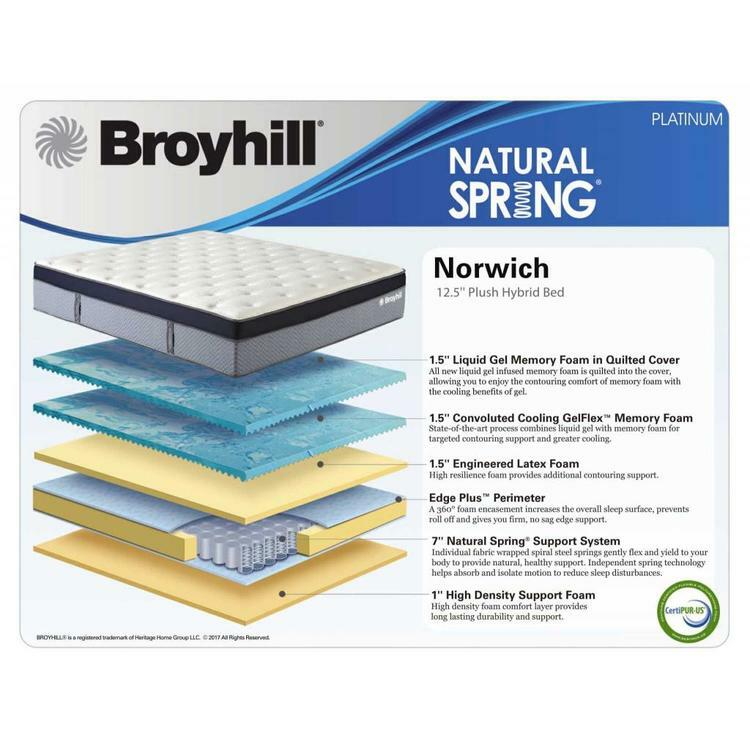 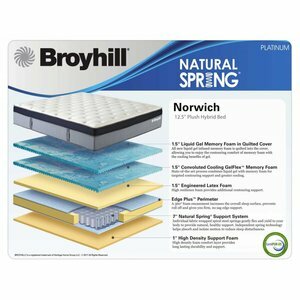 7" Natural Spring Support System - Invdividual fabric-wrapped sprial steel springs gently flex and yield to your body to provide natural, healthy support. 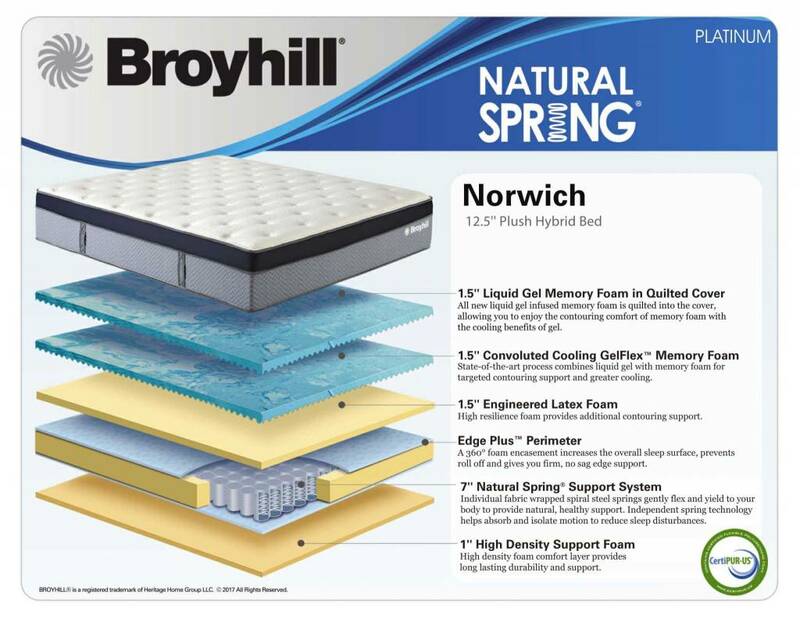 Independent spring technology helps absorb and isolate motion to reduce sleep disturbances. 1" High Density Support Foam - High density foam layer provides long lasting durability and support.